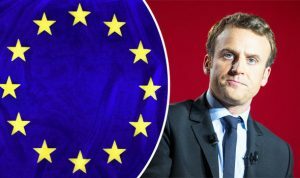 Speaking on the Andrew Marr show, French President Macron admitted that a vast majority of French voters were in favour of leaving the European Union. He then went on to say he would never, therefore, hold a referendum. 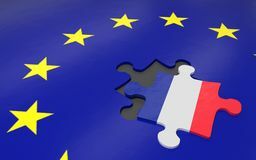 Whilst offering our condolences to the French people, we would like to point out that if even more people had voted for Le-Penn and her wonderful Front National, then France would have a great future and would be leaving the failed economic European Union disaster, with its catastrophic mass movement of people, nation destroying strategy. Tagged Brexit, British Democrats, britishdemocrats.uk, French Frexit referendum, Frexit, Macron. « The Ministry of Defence Has Lost Around £4.2 billion of Housing Assets during the past 21 years. Let us HOPE they force a Referendum on E.U. Membership then ! Like us, the French have had X amount of elections to vote in a Nationalist Government and like us they have bottled it. For the French it is a case of ” be careful what you wish for”. Multiculturalism destroys Nation states and France is on course for destruction. NO WAY OUT FOR THE BRITISH EITHER if that creature of the E.U. SUPERSTATE , John Major , has his way ! Speaking to the badly mis-named Independent newspaper , he had the Gall to say we should have a Second Referendum ! His only reason for this UNDEMOCRATIC STATEMENT is that he did not get his way the first time. Anyway , if all the GUEST WORKERS from Eastern Europe don’t get to Vote in OUR REFERENDUM and all the first , second and third generation Asians , being ‘ Dual Nationality’ Citizens don’t vote , then the RESULT FROM THE INDIGENOUS BRITISH WOULD BE A LANDSLIDE TO LEAVE. Probably at the level of the Teeside / Midlesbro area that , not having certain People living there , VOTED 83% TO LEAVE. There might be a way out of the clutches of the E.U. SUPERSTATE for the ITALIAN PEOPLE as OUR CAUSE PROSPERED IN THE ITALIAN GENERAL ELECTION. The Fantastic B.D.P. type NORTHERN LEAGUE did really well and there was an improvement for all ANTI-E.U. ORGANISATIONS. Much more to follow as our brand of NATIONALISM PROSPERS THROUGHOUT EUROPE !